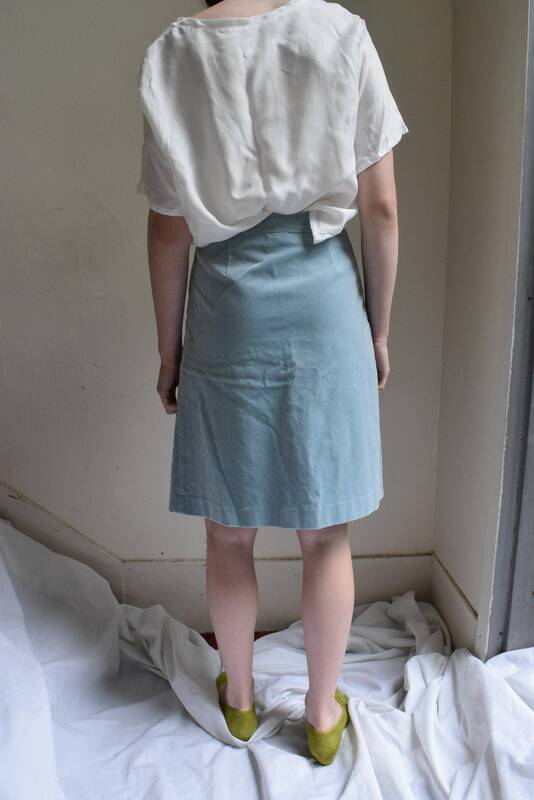 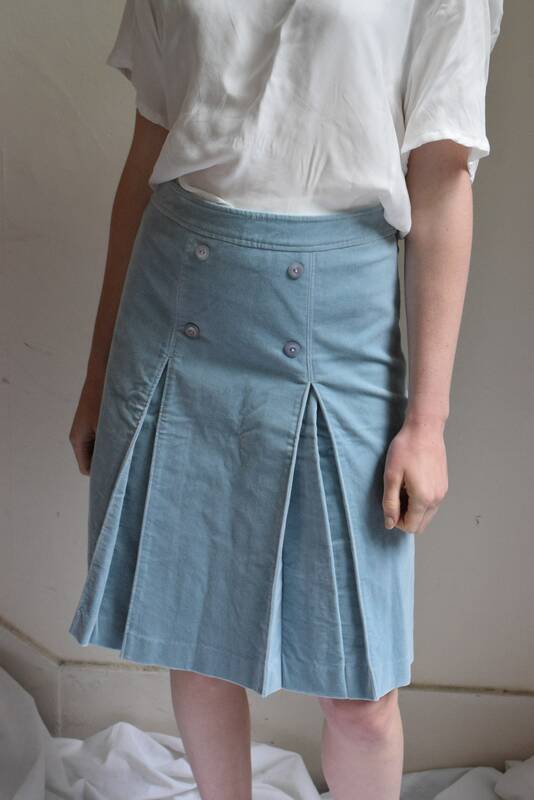 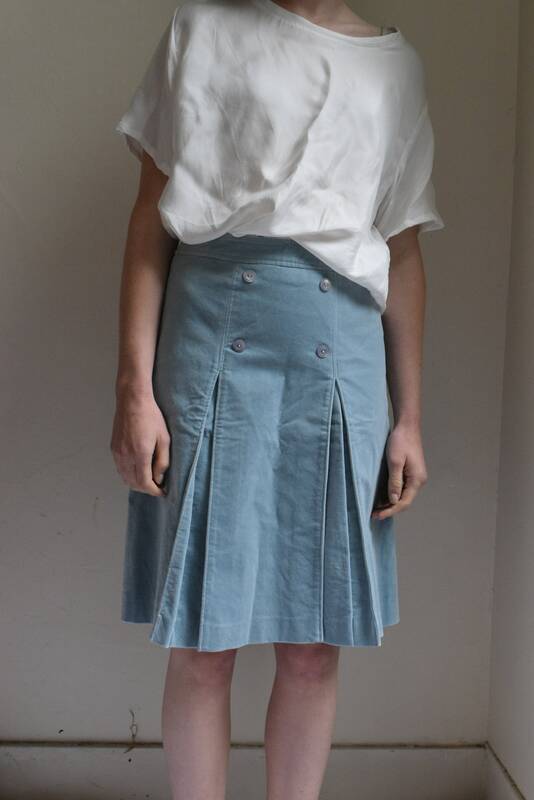 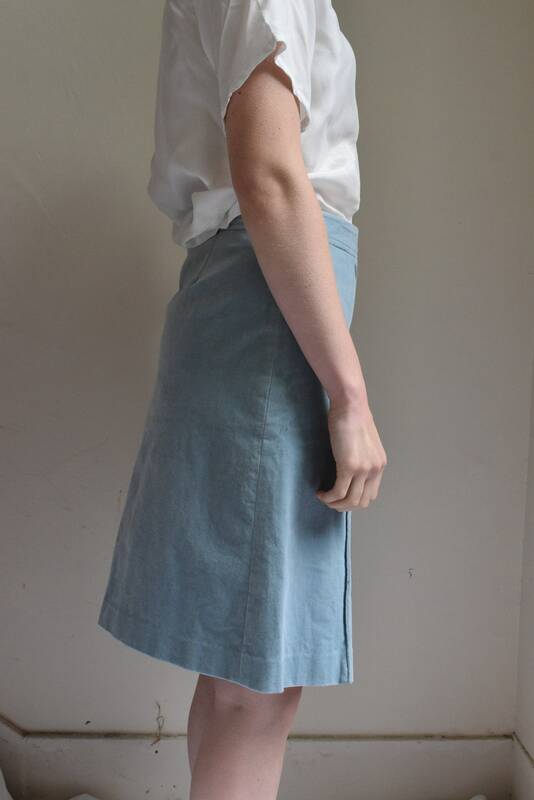 High-waisted powder blue skirt in a suede like material. 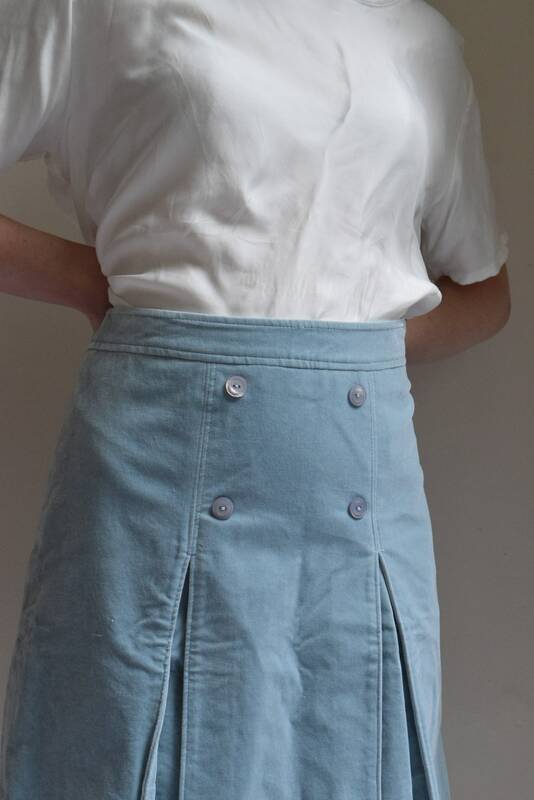 Double-breasted button detail on front of skirt with two front pleats. 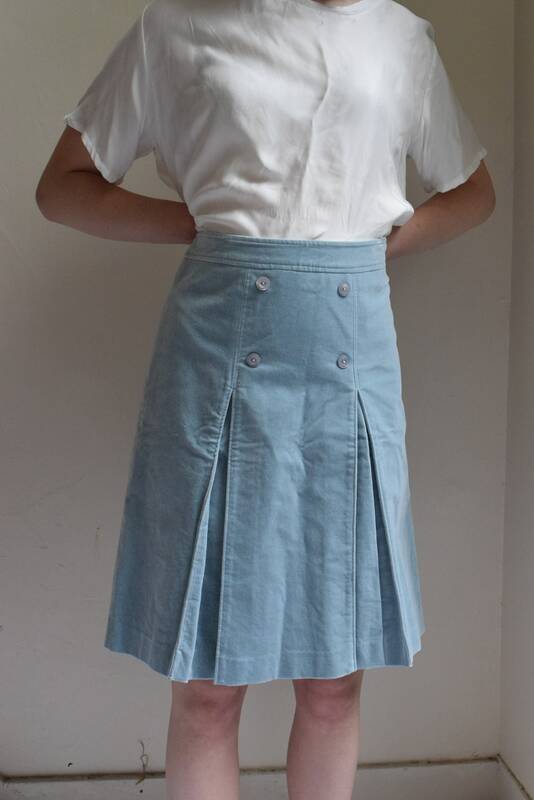 measurements are taken in inches with the item laying flat and have not been doubled.